Ability to work assigned hours, including overtime. After thorough training, employee must be able to operate assigned equipment. Cross-training in various areas is encouraged. Knowledge of code numbers, box unit weights, box/bag sizes and combinations. Must be able to frequently lift up to 50 pounds independently. Must be able to push/pull up to 50 pounds independently. Must be able to stand, climb, reach, pull, push, stoop, bend, lift, and stretch as needed throughout the assigned shift. Must be able to work closely with others in a team atmosphere. Must be able to communicate with and advise team members and managers of difficulties or problems encountered. Must be able to read, write and understand instructions, warnings, labels and postings in English effectively. Operate the packaging equipment in a safe and effective manner. Package product according to customer specifications maintaining KIV’s and KOV’s. Check metal detectors with wands every hour per the metal detection standard and report any out of control conditions immediately. 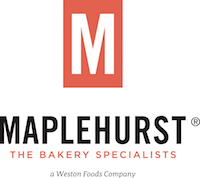 Metal detection is Maplehurst Bakeries HACCP Critical Control Point. Enter and react to IPM data as stated in the IPM Standard for the area. Follow the proper GMP’s associated with the work area and with company guidelines. Know proper procedures for dealing with on hold product. Accurately keeping a running total of cases produced on a rack sheet. Accurately identify Julian dates, expiration dates, lot codes, etc. for all products and correctly enter them into a label format. Correctly stack pallets using the palletizer and operate it safely and consistently. Maintaining a clean and orderly work area. Participate in operator based machine and area cleaning in a safe and timely manner. Participate in operator based machine maintenance. Understand and input data into product tracking program/system. Capable of working at heights in excess of 25 feet.